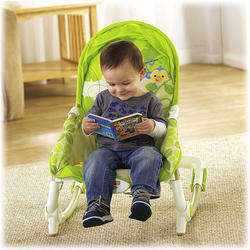 The perfect stationary seat or rocker for even the youngest babies to play, eat or rest! 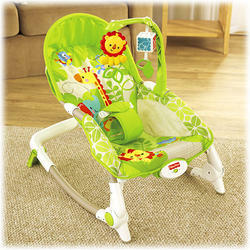 Easy adjustments (and a removable toy bar) let you convert it from a rocker to stationary seat with three position recline. Overhead toys provide bat-at play. When it?s time to relax, switch on soothing vibrations. Calming vibrations and a reclining seat help soothe. 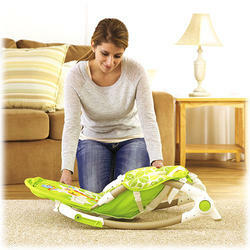 Use from infant to toddler?up to 40 lbs (18 kg).
? Use from newborn to toddler?up to 18 kg (40 lbs. )!